It's no secret that Omega-3s have quite a few health benefits. They might help with maintaining healthy blood pressure levels that are already within a normal range, maintain healthy cognitive function, address insulin resistance, and more. Omega-3s can be helpful in many ways, so it's important to make sure you're getting enough in your daily diet. 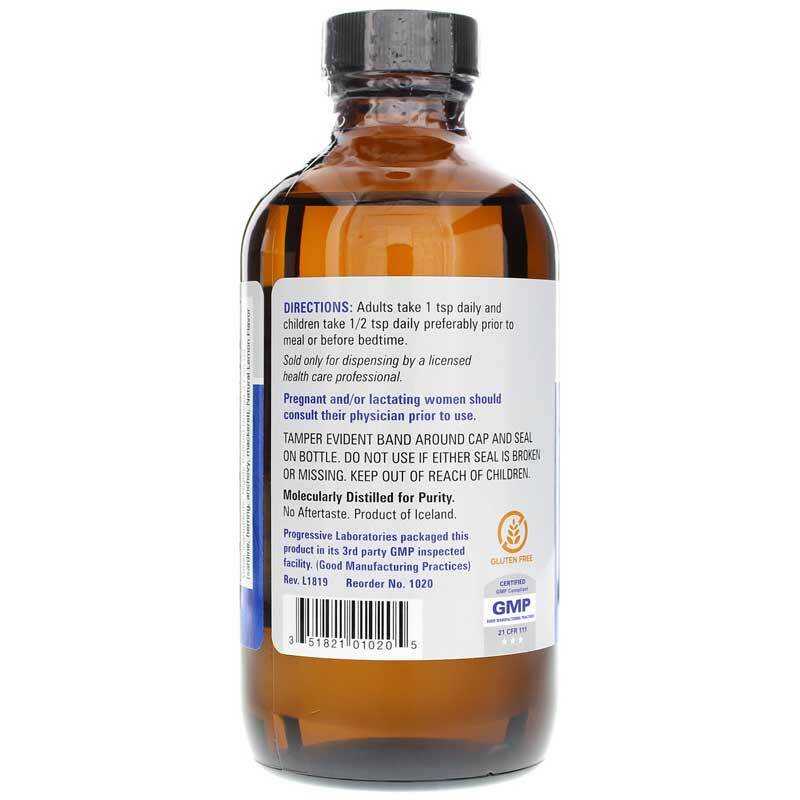 EPA/DHA Omega-3 from Progressive Labs is the ideal supplement for those looking to add to their daily Omega-3 intake. 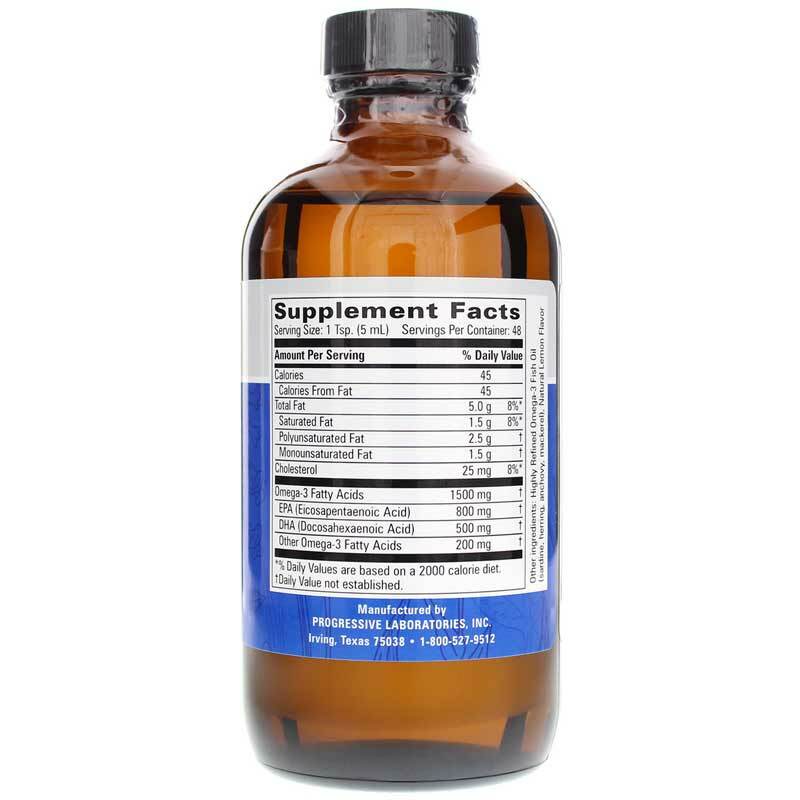 Just one teaspoon delivers 800mg of EPA and 5000mg of DHA. That's 1,500mg of Omega-3! Take another step toward optimal overall health and wellness. 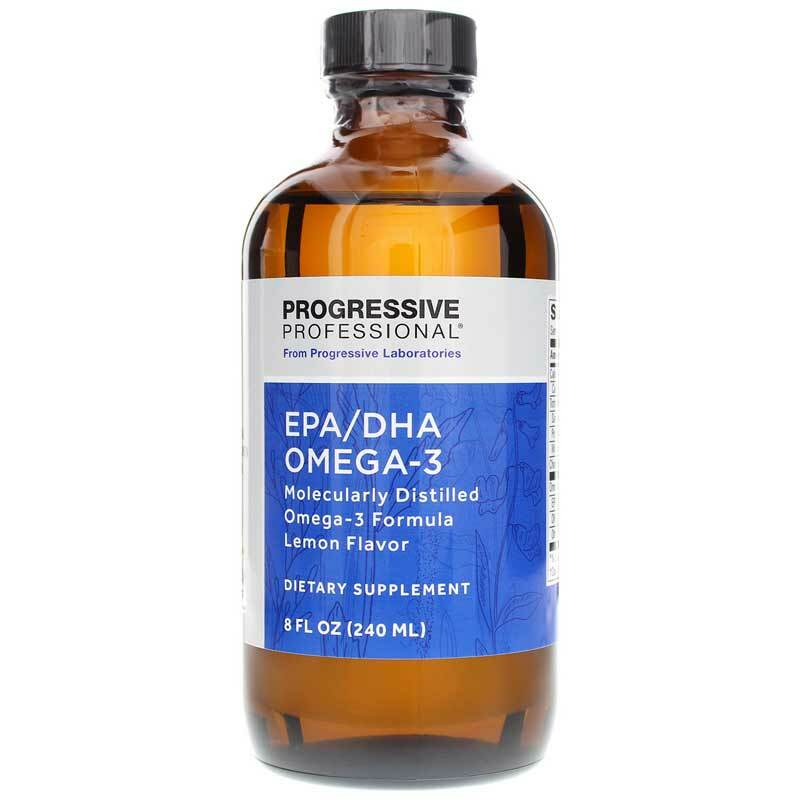 Choose EPA/DHA Omega-3 from Progressive Labs today! Other Ingredients: highly refined omega-3 fish oil (sardine, herring, anchovy, mackerel), natural lemon flavor. Contains fish. Children: Take 1/2 teaspoon daily, preferably prior to meal or before bedtime.